Felltops is a luxurious, modern and stylish two-bedroom, second floor apartment set in peaceful grounds only a short walk from the town centre, with allocated parking. With 4* Visit England rating, it boasts excellent views of the Lakeland fells and is a great spot for walkers, who can enjoy hikes straight from the front door. There is a secure external entrance with entry answer phone. The front door leads to a hallway with store cupboard, coat hooks and shoe storage. The kitchen is well equipped with new units and an excellent range of utensils and integrated equipment; a refrigerator with freezer compartment, washing machine with tumble drier, electric oven and halogen hob, microwave, slowcooker and dishwasher. The spacious and airy lounge/diner has magnificent views towards Catbells, Grizedale and the Newlands valley. Newly decorated, it has comfortable leather sofas, oak dining table and chairs, 43 inch Smart 4K TV, DVD, and DAB radio with bluetooth facility. Bedrooms consist of a double with ensuite shower room, toilet and wash hand basin with lovely fell views and a twin bedroom with views towards the Skiddaw range. 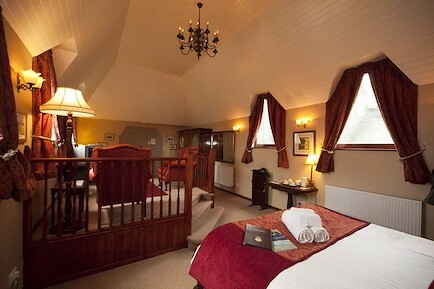 All beds have high quality duvets and matching linen. There is a hair dryer for guests use. The fully tiled family bathroom has a bath with mains shower over, toilet, wash hand basin and shaver point. Guests generally bring their own towels (arrangements can be made for towels to be provided for overseas guests or if you are using public transport). A travel cot and high chair can be provided. Your enquiry will be sent directly to Felltops. Please fill in as much detail as you can.